A best book of 2017: Time NPR People Elle The Washington Post The Los Angeles Times The Chicago Tribune Newsday St. Louis Post-Dispatch PopSugar BookRiot Library Journal Booklist Kirkus Reviews Shelf Awareness New York Times bestselling author Roxane Gay has written with intimacy and sensitivity about food and bodies, using her own emotional and psychological struggles as a means of exploring our shared anxieties over pleasure, consumption, appearance, and health. As a woman who describes her own body as "wildly undisciplined," Roxane understands the tension between desire and denial, between self-comfort and self-care. In Hunger, she casts an insightful and critical eye on her childhood, teens, and twenties-including the devastating act of violence that acted as a turning point in her young life-and brings readers into the present and the realities, pains, and joys of her daily life. 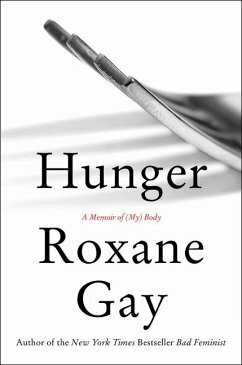 With the bracing candor, vulnerability, and authority that have made her one of the most admired voices of her generation, Roxane explores what it means to be overweight in a time when the bigger you are, the less you are seen. Hunger is a deeply personal memoir from one of our finest writers, and tells a story that hasn't yet been told but needs to be. 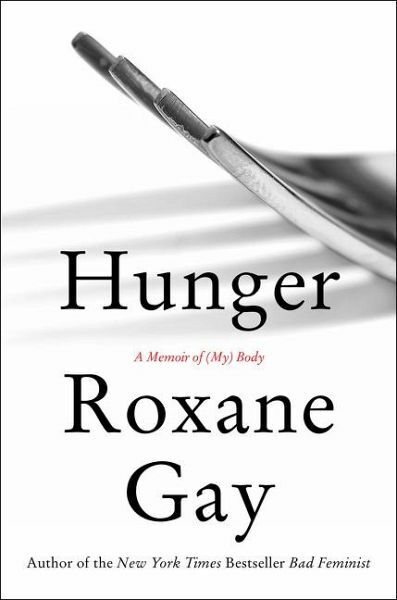 Roxane Gay is the author of the essay collection Bad Feminist, which was a New York Times bestseller; the novel An Untamed State, a finalist for the Dayton Peace Prize; and the short story collections Difficult Women and Ayiti. A contributing opinion writer to the New York Times, she has also written for Time, McSweeney's, the Virginia Quarterly Review, the Los Angeles Times, The Nation, The Rumpus, Bookforum, and Salon. Her fiction has also been selected for The Best American Short Stories 2012, The Best American Mystery Stories 2014, and other anthologies. She is the author of World of Wakanda for Marvel. She lives in Lafayette, Indiana, and sometimes Los Angeles.